Most people have never heard of osteochondrodysplasia, glycogen storage disease, or a thousand other conditions with names we may or may not be able to pronounce. Individually, each of these diseases is extremely rare. Some, like medium chain acyl-coA dehydrogenase deficiency, may affect about one person in 15,000, but other diseases may have only a few diagnosed patients — when a diagnosis can be made at all. Although their symptoms may be very different, people living with rare disease often share similar struggles searching for answers and receiving treatment. With so few affected individuals, awareness, funding, and research towards cures for rare diseases lags dramatically behind research on more common medical conditions. The reality is that hundreds of millions of people worldwide are affected collectively by nearly 7,000 rare diseases, the vast majority lacking treatments. In the United States alone, it’s estimated that as many as one in 10 Americans suffers from a rare disease. 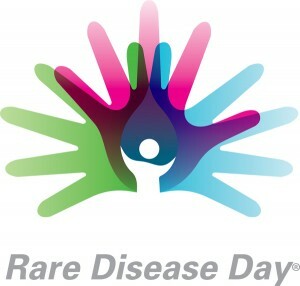 Rare Disease Day was launched to bring the health challenges of rare disease to the global fore, and many events are taking place today to give people the opportunity to show their support for this cause. The Global Genes Project plays a key role in this effort, having signed up such groups as the National Society of Genetic Counselors, Pfizer, Medpedia, Illumina, various advocacy organizations, and many others. In the United States, rare disease initiatives are starting to make progress. The National Organization for Rare Disorders (NORD), which offers numerous resources for rare disease research and advocacy, has helped to create a congressional forum dedicated to rare diseases. (Ask your representative to participate!) The National Institutes of Health also has an Office of Rare Diseases Research to aid scientists and other people interested in obtaining research funding or information on rare diseases. And online tools and social media are helping individuals to build powerful support networks. At websites like Inspire and PatientsLikeMe, people can share their stories, connect to the latest news and research, and learn from others with similar experiences. A common theme that emerges from stories told by people with rare diseases is a desire for information. One of 23andMe’s core goals is to empower individuals through access to their genetic data. Most rare diseases are caused by alterations in a person’s genetic make-up — usually inherited, but sometimes unique to that individual. We are learning more every day about the genetic factors involved in personal health and we believe genetic information will only become more valuable over time. 23andMe also recognizes the importance of supporting research for rare diseases and is committed to applying our unique, participant-driven research platform to further knowledge about these diseases and potential treatments. We launched a Sarcoma research community last year, and patients affected by sarcoma can join this initiative to take an active role in research. Customers without a rare disease can contribute to research as well. We plan to expand our efforts to additional rare diseases in the future. As Joyce Graff of the von Hippel-Lindau Family Alliance puts it, “while each disease is rare, the experience of having a rare disease is not rare.” Show your support for the millions of people affected by rare disease and learn more about ways to get involved.